Our previous developer has gone AWOL on us and our project isn’t complete. What a total bummer, right? I mean, as far as the client is concerned, they’ve [likely] paid out money to someone in order to build them a site or an application and the person has left. Then, on the flip side, those of us who try to good honest business with integrity get associated with people who do things like that. So even if a person comes to us wanting to hire us to complete the task at hand, they’re likely a little unsure as to if they can actually trust us to finish what they thought was going to be done the first time. And though I know the conversation about what qualifies a person as a WordPress developer and doesn’t has been mentioned several times, I want to be clear that this is not meant to re-ignite that conversation or really contribute to it (though it may, in some ways). Instead, I’m trying to clarify what a developer actually is, the realities that go into building something custom for someone, and what to expect when you get into that field. I guess the target audience isn’t the typical WordPress developer. Instead, it’s targeting those who are looking to hire people to employ for their WordPress project, but aren’t sure they’re hiring the right talent. First, I think it’s important define what I believe to be the type of person a customer is looking for and the type of person that they actually get. And since this is just what I think, this may vary from any other person you talk with – hopefully not, but maybe so. Anyway, so a client has an idea for a project and s/he needs someone to build it. If they’re a good client, they have paperwork, a budget, have done their due diligence, and so on. Then they hop on the web and start looking for a WordPress developer because they’ve heard good things about WordPress and good things about its power in creating web sites. On top of that, there are a lot of people who appear to be WordPress developers. So the customer hires a WordPress developer, a down payment is made, and all seems good. Then the client starts asking the developer to implement some type of functionality that s/he doesn’t know how to do (read: doesn’t know of a plugin that will do it for them). So rather than take ownership of his or her lack of responsibility, s/he just takes the money and runs. And that’s the short version. But I digress. After all, once you have some type of a downpayment and you’ve done some level of work, you’re morally above board in terms of keeping what you’ve earned, right? Instead, you’re hired someone who knows how to use WordPress – essentially, you’ve hired someone who knows how to use an application that you don’t. Or perhaps you’ve hired a power user. Whereas a developer is someone who knows how to take a certain set of tools and create something with it that sits on top of WordPress or extends WordPress, this is a person who knows how to find something that gives your site a certain look and feel (a theme), and how to install certain plugins (to introduce functionality), but they aren’t capable of writing code on their own to bring the project to life. A developer knows what a constructor is. Clever, right? It’s not a good measuring stick for the average client because odds are they don’t know what a constructor is (and why should they?). Instead, you’re looking for someone who knows the right terminology, the proper techniques, and processes for unearthing how a project should look, feel, function, and perform. Then they should be able to go away by themselves or with their team and bring the idea to life. What are some past examples of WordPress projects that you’ve worked on? Do you have a blog, portfolio, articles, or code that’s available to see anywhere else online? Do you have references of work that you’ve done and/or others who can speak to the quality of work that you’ve done? Why is it a bad idea to use some of the newer PHP features when working with WordPress-based code? This is far from exhaustive, but it’s a start. And I’m sure many of you would even say that these are softball questions. As far as finding the right kind of talent or the right kind of person to work with you is concerned, price is always a factor, right? That’s because you have a budget and that’s because you don’t want it wasted on someone. Sure, where there’s labor, there are results. But just as with so many other industries, where there is cheap labor, there are usually weak results. No body wants that, but no one wants to shell out several thousand dollars to bring their idea to life either. But the teenager up the street can do it for $100. He can do something for $100, but s/he’s not doing development. But what’s the point of all of this? The bottom line is there are such things are WordPress developers and they are not the kind of people who can install WordPress, a theme, and a plugin then claim they’ve “developed” a project. WordPress developers are people who should be skilled in thinking analytically, who are able to bring something to life using a variety of tools and code, someone who is able to articulate what you’ve requested that you wanted, someone who is able to provide a process by which they bring your request to life. There should be a back and forth cycle of revisions and conversations so that when the time comes to launch the actual site, it’s as smooth as possible. You shouldn’t have to hold your breath and hope it holds together because every detail has been scrutinized and it has been tested and even exercised on a staging server. Features can be added and removing through the use of features of source control, and you should feel completely comfortable and at ease asking the developer if something can be done and having them give you a well-informed, well-reason response as to why something can be done or can’t be done and why it may or may not be out of scope for the given budget. But right now, we’re not seeing a lot of conversations like that. At least not in WordPress or at least not in my experience. So if you’re someone who’s looking to have something built on top of WordPress or within WordPress, consider a list of questions and conversation pieces that you’ll have with your developer – interview several people just like you would any other job – and go with the one that best fits the needs. Otherwise, you’ll end up with something. Just not with what you want. You’ve inspired me to up my game. I consider myself a “true” WordPress developer and yet, couldn’t answer all the questions you mentioned. That’s awesome! But you know what? I should’ve probably mentioned that there are plenty of other questions that people could ask to which I don’t know the answer. I don’t mean to imply that I’m a “true WordPress developer.” I hope I am and I’m working hard to remain in that direction, but this is what I would expect someone to be able to answer. There are going to be higher tier of questions which is why I always try to get as much clarity as possible when talking to potential clients. I don’t want to agree to complete something for them that I know I can’t. Thanks for the kind words – go get ‘em :). I realise I’m in the same boat as Rachel as well. Time for some reading up as well. My follow-up post tomorrow is going to be a bit about that :). Also as for Tom’s comment: I should’ve probably mentioned that there are plenty of other questions that people could ask to which I don’t know the answer. That’s fine – I realize there are plenty of questions out there and we can’t answer ’em all. But the ones you provided were a great starting point. Thanks for that. Heck yeah you can. Go for it :). Sure thing – I’m glad you found them useful! Great Article. There are so many “power users” as you say on the Advanced WordPress FB group that seem to pose as professionals (possibly even developers in many cases) and ask for help because they don’t know what you’ve talked about in your list. They’ll also disclose things like they’re using Divi, X, or The7 often with Visual Composer on client sites. I cringe when I read such things and usually feel bad for whoever the client is. Another likely innocent party getting scammed by a WordPress poser that will eventually leave another mark of condemnation on WP instead of who misused it in the name of profit. There are also many great and actually knowledgeable folks in that group as well. However, the power users seem to think they know better than many of the actually developers. It’s sad to see said developers give their time and then try to diplomatically send them them down a better long tern path only to be rebuffed in anger by these power users often out of their own ignorance. I’m not on Facebook (other than for 1 purpose, but it has to do with a contract — I don’t even have any friends on there and I spend less than 1 minute a day ;). Anyway, I say that because I’ve heard and read about some great stuff that comes up in the group to which you’re referring, but I’ve also heard some of the same things you’ve mentioned above which is when a power user views themselves as a developer and then gets in over their head. They’ll also disclose things like they’re using Divi, X, or The7 often with Visual Composer on client sites. I don’t have an opinion here or there on themes like that because they can and do serve a purpose, but if they are being used because they capture as many use cases as possible, then bummer. I don’t see that as a compelling reason. Another likely innocent party getting scammed by a WordPress poser that will eventually leave another mark of condemnation on WP instead of who misused it in the name of profit. Right?? I hate that. But what can we do, you know? There are also many great and actually knowledgeable folks in that group as well. Yeah – this goes right in hand with the stuff I was saying earlier. I know some really bright minds participate in that group. It’s sad to see said developers give their time and then try to diplomatically send them them down a better long tern path only to be rebuffed in anger by these power users often out of their own ignorance. Reminds me of this. But I’m so psychologist so I wouldn’t actually call it that. It just came to mind. I think you’ve hit the nail on the head with your post. Mario Peshev and I have been having this conversation over the past few weeks on chat and his blog. WordPress is extremely easy to use. Installing plugins and themes are equally easy. But, what next. You’re stuck with a person who claims they can build a WordPress theme and add a certain set of functionality and that’s pretty much it. All your questions are relevant to ask a developer, but many of them are such that the client would likely not know the answer (even if it is a high level answer). The result is a bad quality job, a person saying that the whole WP community is a mess and all because they didn’t want to spend $1000 and chose to hire someone for cheap. Yeah – Mario came to mind when I was writing this because he’s done such a great job of articulating much of the problem (which I’ve linked up in a few of my previous posts). Yeah – and this is a tough one. If it’s an agency or someone that has a technical team like a larger corporation, it makes it much easier. But a company that has no idea what they’re really looking for beyond the functionality, it’s just something totally different. I don’t have a clear answer for that right now. It’s something I’m spending time thinking about, though. Sometimes I think the problem comes when a client says “we want to use WordPress for this.” When, in reality, they should just describe their problem in a platform agnostic way. A good developer may be able to build them a more custom solution. Or perhaps they will be aware of something other than WordPress. Or maybe WordPress is right. Whatever the case, I’m not sure the client should dictate that in as many cases as they do – it brings people that damage the WordPress economy out of the woodwork. This doesn’t seems to be as a big of a problem in other fields of development in the industry. Thanks for the mention guys, and such a great topic Tom! I also don’t think that a client asking those questions would be a good move. I was thinking about that after a video by Jake from 10up showcasing an interview process for WordPress developers. It’s great for an agency, but won’t do with a client. I do however believe that there is a niche for WordPress technical consultants or business developers that help businesses by brainstorming together with them and clearing out requirements, pointing out what is possible (within a timeframe/budget) and what not, what comes out of the box and what would need to be scalable in 2 years and so on. Some agencies and freelancers do that “discovery process” and consult, but you’re usually tied with them later, and if you don’t trust them, then it’s a complicated case. On the other hand, one may ask how would a “Business Consultant” position himself in a reputable manner. Even though that intermediate step may be a good way to go forward, and maybe even help assess skills when hiring an agency. For example, I started a maintenance plan with a car service startup here that could come, pick up my car, fix whatever is needed and drive it back to me. Not only is that convenient, but I can pick a place where they can fix it. That also includes cleaning the car once a month (picking it again), which also lets them catch some maintenance things that need to be done (change the engine oil) or “hear”/”feel” a problem that could be solved if I would like to. Since they let me fix my car with whoever I want, they are my proxy that I can trust when they consult me on technical issues, take a second opinion by someone knowledgable in that area, and catch different problems that I don’t understand myself in that field. I’m talking a little more tomorrow about why asking a client certain questions isn’t necessarily good. It depends on the client. The short of it is that, yes, I agree with you that it works well for an agency or large corporation. Do you mean there’s a niche for people to talk amongst themselves or to better serve clients? Some agencies and freelancers do that “discovery process” and consult, but you’re usually tied with them later, and if you don’t trust them, then it’s a complicated case. I tend to be a fan of the discovery process when it’s done right. And there are a lot of ways that it can go wrong. And yes, trust is arguably the most important thing in a relationship with the service provider and the client. On the other hand, one may ask how would a “Business Consultant” position himself in a reputable manner. Yep! I’m talking context tomorrow so there will be more on that coming. You always cater it :). I’ve never been asked any highly technical questions for a job interview. Looking at the questions you asked, I know the answers, but I’m not quite sure I could articulate them to a client. Like explaining event driven design to a client. Not quite sure how I would approach that. I’ve never been asked any highly technical questions for a job interview. Looking at the questions you asked, I know the answers, but I’m not quite sure I could articulate them to a client. Whether or not your asked doesn’t necessarily have to reflect to the firm. It certainly can but it depends on wha they are looking for. As far as articulating the answers goes, practice it :). You should be able to illustrate the pattern and walk through how it all fits together. My two cents: The deeper you get into plugin development, the more you’ll see how different they are (well, depending on their functionality, but the point remains). Great post, Tom. It feels like ever since you wrote your series last summer on developers vs. implementers this topic keeps getting discussed. This is a big hurdle if the platform is to keep growing. This post does feel like a more specific clarification of what you and others have written. I have to agree with others that clients shouldn’t be asking these questions, as they don’t know the answers. This puts the client in the position of having to be the expert on web development, which is bad for them and bad for actual developers. To be very honest, there are a lot of agencies that don’t ask these questions when hiring and have no idea what the answers are either. Dedicated WP development shops would, but most shops, not likely. Lastly, I’ve noticed sinced your last redesign that there is one thing that could be improved. When quoting previous commenters, there is no styling differentiation. The quotes you reply to and your own comments roll into one continuous comment. This is very confusing to read, even when you’re looking for it. It must be perplexing for people who aren’t looking for it. I would request you add italics, or some other identifier to quotes from previous comments, for context and understanding. Thanks. I don’t take credit for starting the conversation – just contributing to it :) – but I am glad that it goes on because I think something has to give as it relates to our qualifications. I’m trying to share various ideas around the topic because I don’t like it when people complain about a problem, but do nothing about it. But it’s not easy to find a straightforward solution to this. I have to agree with others that clients shouldn’t be asking these questions, as they don’t know the answers. I actually agree with this too and I go into more detail about it in tomorrow’s post. It was wrong for me to say it in this post without giving a more specific approach. To be very honest, there are a lot of agencies that don’t ask these questions when hiring and have no idea what the answers are either. Dedicated WP development shops would, but most shops, not likely. Maybe I’m biased, but if an agency is hiring a person who claims to be a developer and they aren’t putting them through a technical interview of sorts, then the quality of the work is going to be reflected in that and it’s likely not going to be very high. This is very confusing to read, even when you’re looking for it. It must be perplexing for people who aren’t looking for it. Thank you, thank you. All fixed up :). If you are hiring a developer to build a site, this is actually a bad question in my opinion. A single site needs to run in a very limited number of environments ( dev, staging, [others], production) that are ideally identical. When you have control over your environment you can take advantage of traits, Constant expressions, and many of the other improvements that WordPress has made. It’s only when you are working on a distributed project that you need to worry about changes made to PHP. I was going to tease apart your comment and then respond to each part, but I actually agree with all of it. Though I will say I should have prefaced the question with something like “if you’re building something for a distributed environment” or, perhaps something more like “If you have full contract over the environment, what version of PHP would you end up using,” or something of that nature. The short of it is that you’re right – not necessarily a good question as it’s not clear because it depends on the nature of the project. Thanks Aaron – glad to have you share that. I think it might be wiser to ask: What’s the difference between WP the CMS (in a box) and WP the Framework? I’ll ban you for using that here ;P.
Clap… … …. Clap…. ….Clap… ..Clap …Clap..Clap clap clap clap. [Slow clap] Standing O! Great post! Just had this conversation with a client who hired a “developer”, 30+ plugins later and a site that doesn’t DO anything. Thanks Nick – and good luck with that project :). Just spent a day fixing a site that a Developer custom coded and it was a f’n mess! Started from scratch with 4 plugins and now the client is giving me a box of wine as an added bones of a job well done. In my experience most serious customers who have a budget from $3-15k will say they are looking for a “developer” or maybe a “designer.” They never say they need a “content marketing strategist” or “information architect,” and they will not bring up version control, performance, maintenance, technical aspects of hosting, etc. They need someone, or a small team, that can cover all these bases as is appropriate to the case, but what the customer really needs to hear and see is problem identification and solutions in non-technical language. There is nothing in the skill set of a “developer,” as you’ve defined it, that would make him/her more likely than a “power user” to bail on a client. That most likely happens due to immature or brittle business models where one person or a small team (of whatever skills) falls apart because they can’t handle scope creep, ongoing support needs, or any number of other things. It’s not unheard of for small agencies to fold and then a designer or developer they subcontracted gets their clients coming to him because he talked to them, met with them, and solved their problems. In my experience most serious customers who have a budget from $3-15k will say they are looking for a “developer” or maybe a “designer.” They never say they need a “content marketing strategist” or “information architect,” and they will not bring up version control, performance, maintenance, technical aspects of hosting, etc. $3 – $15k is a large margin in my opinion, but I digress on that. I think some will say if they need a designer or a developer, but when it comes to titles are marketing straights or information architects, you’re right. Tomorrow, I’m hoping to clarify a few of the things that you also mentioned (like version control, performance, maintenance, etc.). Generally speaking, I think the point of what I written still stands, but it also needs clarification that the comments of the post have helped to show me. In some cases, yes; however, I think this is something that the requirements of the project dictate. Maybe I’m being legalistic (and feel free to call me out if I am! ), but I tend to version control every single project I work on. Some projects are large, some aren’t. But I’ve been at it long enough to know that if I have to rollback, version control just makes it all so much easier. And this is but one example to make a point – you mention some other good ones, as well. There is nothing in the skill set of a “developer,” as you’ve defined it, that would make him/her more likely than a “power user” to bail on a client. I’ve heard first-hand stories that when a person needed to write custom code that hooked into some part of the WordPress page lifecycle, they bailed. I’m not trying to generalize based on a single case because there are more than just that – but I am trying to give an example. So I do politely disagree. I mean, if you end up being faced with having to write code to solve a problem and that code has to, say, interface with the database and you haven’t the slightest clue on how to write code let alone install a plugin to let you do that, then you may cut and run. Of course, integrity should reign and a person should state that but, for whatever reason, some people don’t do it. Thanks for clarifying your anecdote. I’m still going to press the idea it has nothing to do with the “developer” potentially not being able to cope with the need to write functional code. It has to do with the lack of integrity. It could just as well be a developer who bails because there are graphic design, user training, or content editing requirements that are over his head/beyond his capacity. Planning a site and creating a detailed list of must have features, nice to have features, and a phase 2 strategy is job by itself. Once you have a detailed, written request you can start speaking to developers. This way a developer can see if they are a good fit for you. Different needs, different skill set required. A proper developer will be able to advise, make adjustments and often save the owner money by suggesting options and alternatives. Yes, some pros may be overstating their abilities, but much of this rests on the shoulders of a site owner who hasn’t done their homework. Thanks a lot for the comment, Steven! I think you raise some good points in terms of asking “What do I want from my site?” Those are exactly the kinds of things that I think customers should bring to the table and then designers and developers should help to create something around that scaffolding. And right on with the “must have” and “nice-to-haves.” Often times, those end up being part of scope creep and it gets to be a little messy when working on projects like this. Yes – it’s a mutual relationship. This is THE key. Being highly technical (as listed above) is great. There are plenty of such people. But that doesn’t make you a developer; unless you have a mindset – including a non-technically toolbox – that allows you to well…um…develop. 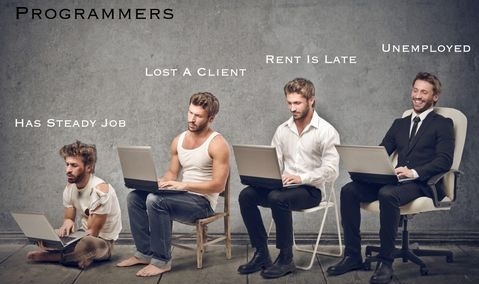 Yes, programmers are people too. But even an experienced and highly skilled programmer isn’t necessarily a developer. Seems to me that a lot of the questions in the article are questions that a client would never understand let alone be able to ask of a potential developer. If the job was being handled by the IT department and contracted out, sure, they should be able to ask those type of questions. Seems to me there’s an opening for a developer referral service. Sure, there are online job boards with feedback and ratings for developers but even then clients may still feel wary when it comes to the big questions. If a job had a budget of, say, $2k, it would be well worth 10% to a referral service to feel confident about your developer. Something else: there’s no point bitchin’ about the market. I’m not saying you are, Tom, but there’s a common attitude among developers that their time and skills are not being appreciated or are somehow being subverted by the teenager who will do the job for peanuts. Well, the hard fact is: WordPress makes it easy for that teenager to get something up and running with a free theme and a few free plugins. For every skilled developer who sees WordPress as a good starting point, there’s a hundred also-rans who see it as an easy ticket to quick bucks. Fact is, skilled developers can’t have their WordPress and eat it, too. If you’ve chosen to use WordPress then you’re gonna have to put up with everyone else who uses WordPress regardless of their skill level. Can the same be said about Processwire or Laravel? That is, a CMS or framework that requires actual coding skills to produce a working product. In the end developers have to be able to prove to the client why they should be hired instead of that amateur. If they can’t do that, the amateur kinda deserves the job, right? I’m not saying you are, Tom, but there’s a common attitude among developers that their time and skills are not being appreciated or are somehow being subverted by the teenager who will do the job for peanuts. For sure – I’m definitely not trying to make any comments about it like that. If you can find someone who is willing to do the job at the quality that you like at the price you can afford and they’re willing to accept, then by all means. We see this model play out in the general economy all the time. If you’ve chosen to use WordPress then you’re gonna have to put up with everyone else who uses WordPress regardless of their skill level. And this can be said about a lot of other programming languages, as well. We all have it better off than the generation did prior to us and it’s only going to continue getting better. The points I’m trying to make aren’t so much about being a disgruntled developer – I mean I’ve chosen my career path for now so I take what comes with it – but I’m just trying to help bring some clarity between various levels of development that exist in WordPress. :) Yep. Even mentioned this above. To be clear, the examples I gave of Processwire and Laravel simply can’t be thrown together in the same way that a WordPress install, a free theme and some plugins can. There’s a reason WordPress seems to be so susceptible to abuse and that’s because it’s designed to be used by people who have little knowledge. The one-click install option offered by hosts is the final nail in the coffin because it totally removes the need to have anything to do with the code or even the command line. I’m not saying any of that is absolutely bad. It’s obviously good for someone on a low budget or for a self-created site. What I’m saying is the ease of use and zero need for any coding invites abuse by those who claim to be developers/programmers but are really just people who can click a few options. The ease of use means ease of abuse. That’s the reality, so if as genuine developers we’ve chosen to use WordPress, we have to put up with the rank amateurs who perhaps give WordPress development a bad name. The alternative is to develop on another platform where the entry requirements are much higher and where the point and click types are weeded out early. Hi Tom, I’ve been keeping an eye on your blog, I’ve been busy lately so after seeing this post I just had to post my thoughts. Expanding on @Ross opinions, WordPress “design” and entry level is way too low, the “WP” market is crowded and is being flooded by “developers” each and every day. You just have to browse for “WordPress” on freelance site’s and you’ll be shocked, marketplaces like Codecanyon and Themeforest (from Envato) seems to contribute to the idea that WordPress development is cheap or almost free. I’ve been suffering of self-imposed pressure (quoting your post about this topic), I’m always pushing myself to go futher to enhace my skills. And this lead me to pull the WP plug out of my head and decided to give a go to “moderm PHP”, and it’s been great…everything feels so familiar, getting the basics of a framework like Zend or Symfony in just a few days returned back my confidence. In the new era of Cloud computing and mobile, I don’t see a future for WP. And you know what I mean, you could code a carefully/tested plugin…but WP core doesn’t help much, it is a jungle of hooks (filters and actions) a mix of procedural code and and prodedural OOP. Awesome! Glad to have you do so :). Absolutely. I don’t disagree at all — the rise of marketplaces and the flexibility of the applications and the languages plus the demand for websites are some of the main things that have contributed this. There still remain, however, those that are developers with a background in other languages, frameworks, object-oriented (or procedural – doesn’t matter to me), programming that are capable of doing more than some basic styling for a theme. I see a future for WordPress, but I see it happening over time. I don’t really consider the hooks to be a jungle – many of them are documented, some could stand for improvement for sure – but that’s how the event-driven pattern works and that’s what WordPress implements. In terms of a mix of OOP and procedural code, I agree with you. I think it’s going to take a long time before any of that changes but that’s also largely due to backwards compatibility to which WordPress is committed. Whether or not this is the right thing to do isn’t my call, but when you’re powering as much of the web as it is, I think it’s wise. I would like to see the features and organization advance more but, like I said, it’s just going to take time. Absolutely. I’m with you, though I’ve seen integrations with WordPress and services like AWS. I’ve also seen people working with WordPress and Azure. All of it’s possible, it’s just not as streamlined as using some of the newer frameworks make it out to be. It definitely has a place for that, but I also see it having a place for much more – when you’re deep enough with the API, it’s possible to write full on web applications on top of it using it as a foundation. And all of this is coming from someone who used to work in both .NET and Rails for years :). I’ve opted to go with WordPress – at least for now – and I don’t regret it. This doesn’t mean I won’t return to those languages and libraries in the future, nor does it mean that I’m so dogmatic about my ways that I have blinders on – that’s absolutely not the case – but I am voluntarily where I want to be for now. If I can help do my part to push WordPress forward with some of these newer technologies, then I definitely will (though others are already far ahead of me in doing that :). Great comment, Victor and thanks for the discussion. Dig it! Thanks for your reply, it is interesting to have your insights on WP development. It’s true about the WP stats, it is powering most of new commers websites because of the “easy” to get up and running. And most brands/companies/startups are using it as a blog engine. But they build their web apps with a PHP framework or another language+framework (ruby (RoR…), python(django..), java(spring…), whatever). WordPress can run on cloud enviroments, but with some limitations due to its monolitic arquitecture. PHP current version is 5.6, Do you know that there won’t be a PHP v6? The next release will be 7 with a lot of improvements on the PHP engine to catch up with HHVM. Also, frameworks are working on standards for interoperability: PHP-Fig and the next releases of Zend and Symfony frameworks will require PHP 5.5 as the minimum. Thanks to the PHP Fig, frameworks are working towards independent modules and sooner than later, PHP developers will be able to use Framework A package on Framework B without headaches and avoing the illness of Reinventing the Wheel. But nowadays and because of composer, you can even build your own framework using packages like: Symfony packages, PHP League, or your favorite from composer repos. Sensiolabs released a code analisys with an interesting parameter, “Technical Debt” of PHP projects, It wasn’t a surprise for me when I saw WP Codebase ranking hight, around 20 years of technical debt: http://blog.insight.sensiolabs.com/2014/11/04/technical-debt-relevant-projects.html. And excuse me if in some way my words sounded like other languages are doing better, or that WordPress is a code blasphemy, because it wasn’t my intention, I just want to state something that seems to be a taboo topic on WordPress, and it is that WordPress is way behind the PHP Renaissance and it is not a serious option for the enterprise development arena. Thanks for your reply, it is interesting to have your insights on WP development. But they build their web apps with a PHP framework or another language+framework (ruby (RoR…), python(django..), java(spring…), whatever). WordPress can run on cloud enviroments, but with some limitations due to its monolitic arquitecture. PHP current version is 5.6, Do you know that there won’t be a PHP v6? The next release will be 7 with a lot of improvements on the PHP engine to catch up with HHVM. Yeah – I’m pretty excited about it. I’ve been trying to follow all the reading on it (though there is quite a bit), and am already working on porting the code that I have for plugins into things that allow for backwards compatibility so that I can take advantage of some of the newer features. A good friend of mine does this a lot, actually. I’ve yet to use Composer as I’ve not needed it most of my work (I either use CodeKit or Grunt and Bower, though I know they’re a bit different than Composer) but eventually I’d love to play with it. I don’t think it’d surprise anyone who’s close to the project. It’s all that backwards compatibility stuff that it’s having to manage. It’s a long and winding road to clean that up. No need for excuse! I knew what you meant (and hopefully I came across respectfully, as well). I genuinely agree with your points as they’re rooted in fact. There are the haters who have their things to say – you’re not one of them – and I don’t have the desire nor time to argue against that. But this stuff? It’s fun to chat about :).